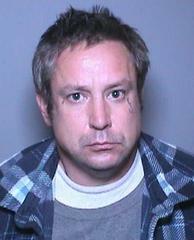 On Monday, February 4, 2019 at approximately 4:30PM, Ryan Quinten Hancock (43) of Orange, was arrested by the Orange Police Department. He was booked at OCJ on a warrant for his arrest for the Macy’s robbery and assault with a deadly weapon incident. He has been charged by the District Attorney’s Office for two counts of robbery and one count of assault with a deadly weapon. 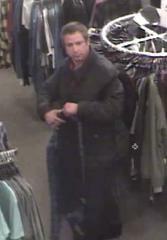 Detectives received several tips identifying suspect Hancock after we requested media and community assistance.